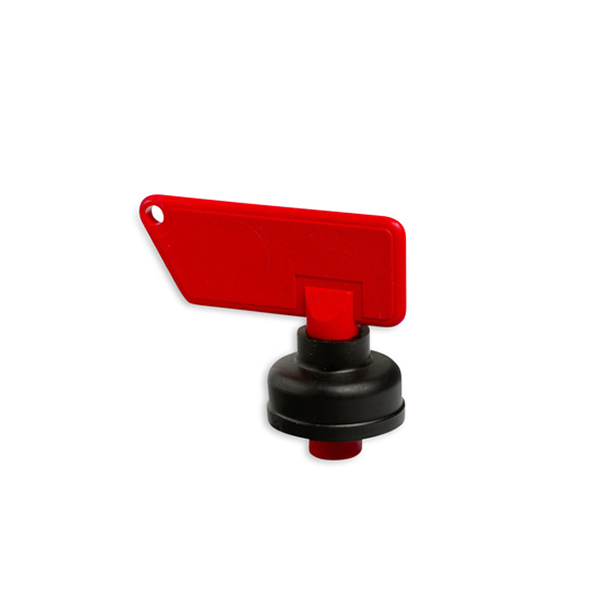 150A manual battery disconnect switch features a push button for fast push to off operation in event of an emergency. Rotate knob for ON. Switch status is indicated though a window on the top of the knob. Manual Battery Disconnect Switch features a key that can be turned counter-clockwise until one “click” is heard for the OFF position. Turn counter-clockwise to the second position to completely remove the key.